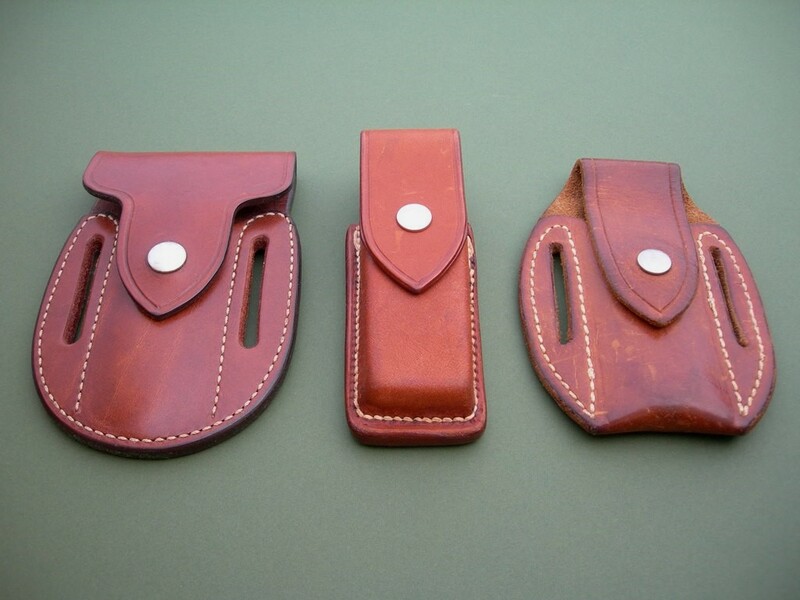 Summary: tough to find, three variations of leather sheaths made for the large folding hunter. 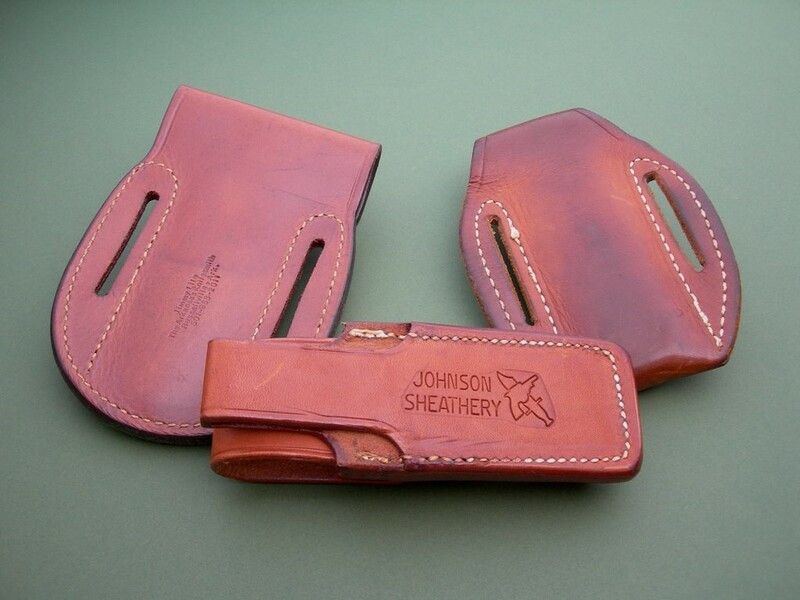 (aka button lock) One pancake style with Lile shop stamp that has not been used, one pancake style that has been carried, and one Johnson stamped pouch. 2 photos for review – all going to one home as I do not want to part them out. These have become quite difficult to find, don't miss out. Thanks and good luck.